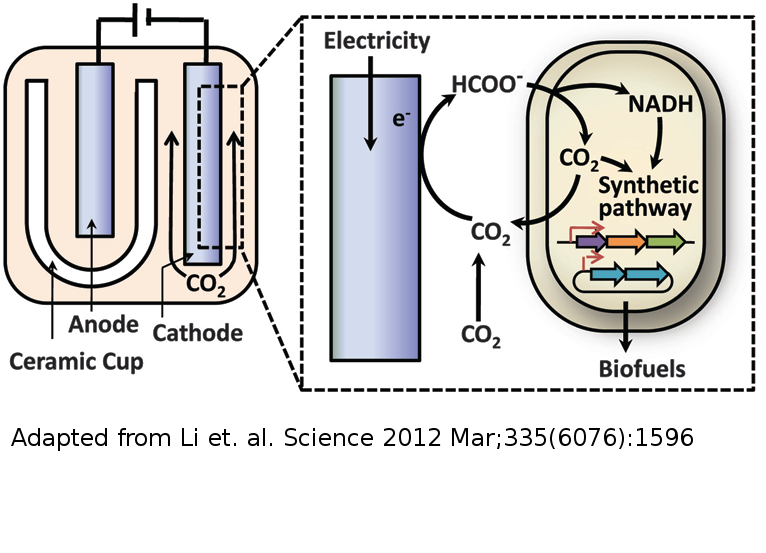 There are now two ways to combine CO2­ from the air with electricity to make liquid fuels. Li et. al.1 from UCLA published a paper in Science showing that they can use bacteria (not platinum) to convert electrically generated formic acid to fuels. This entry was posted in Science and tagged biofuels, electricity, energy, energy storage, renewable, Science on March 30, 2012 by Peter.